Even though Jeff Bezos, Amazon’s founder and CEO, has publicly stated that Amazon is working on it’s own tablet, we have yet to see the Amazon tablet come to market. There have been a couple of overriding issues that Amazon has struggled with in making the tablet a reality. 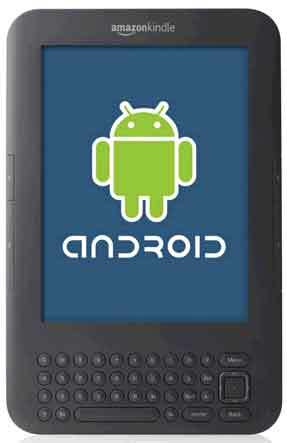 One issue was whether to build the Amazon tablet using Android, or simply develop their own Amazon mobile operating system. The reason Android was picked was, according to some sources, was because if Amazon launched their own operating system, then in order to compete with Android and iOS (Apple’s OS for iPhone & iPad), Amazon would have to entice developers to build apps for yet another mobile operating system. And this was something that Amazon didn’t feel would be an easy task. The other problem with Amazon struggled with while considering Android was the fact that there are already a lot of Android tablets on the market and Amazon would be joining an already packed race. But looking at the historic record of Amazon’s success, I would say that when the Amazon Android tablet comes to market, it will far and above any other Android tablet currently available. Amazon just simply does not do things without ensuring they will be a market leader – at least in most cases.